Its edge-to-edge Super Retina HD display with incredibly slim bezels is what makes the iPhone X Apple’s prettiest smartphone yet. And we can expect the 6.5-inch iPhone X Plus — also scheduled to arrive this fall — to offer the same. Unfortunately for those with a tighter budget, the cheaper 6.1-inch iPhone could have a thicker border around its edges. It is believed that the LCD display Apple will use in the 6.1-inch iPhone will allow for bezels as slim as 2mm. That sounds like nothing, but when you see them alongside the even slimmer bezels of its siblings, there’s a noticable difference. 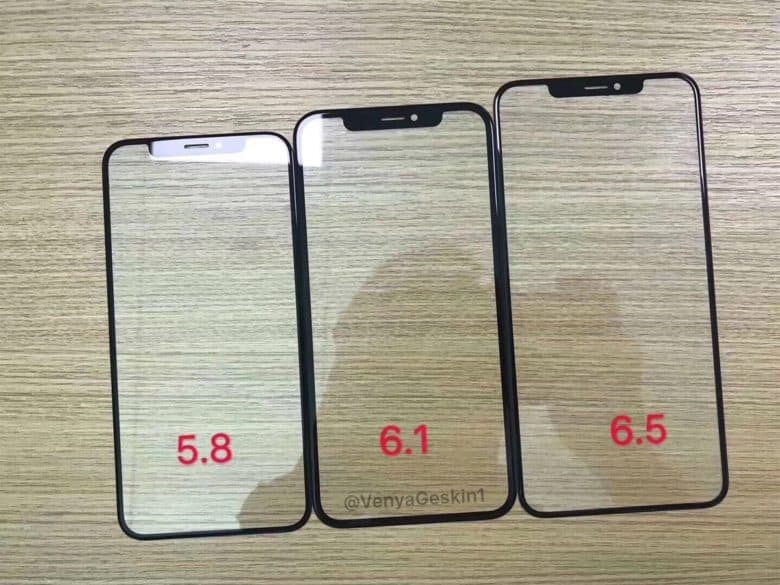 The photo of new screen protectors above, published by reliable leaker Benjamin Geskin, shows the border surrounding the 6.1-inch iPhone’s screen is slightly thicker, leaving a little less room for its display. And yet, its notch doesn’t appear to be any smaller. This probably won’t be a deal-breaker for those who are already planning to purchase Apple’s more affordable iPhone this fall. You probably won’t even notice it if you don’t place the device alongside a pricier handset. But it is another win for OLED displays. It’s thought the 6.1-inch iPhone will cost around $700, which will make it $300 cheaper than the slightly smaller iPhone X. It is expected to offer Face ID, but will lose out on other features, such as 3D Touch and a secondary rear-facing camera.